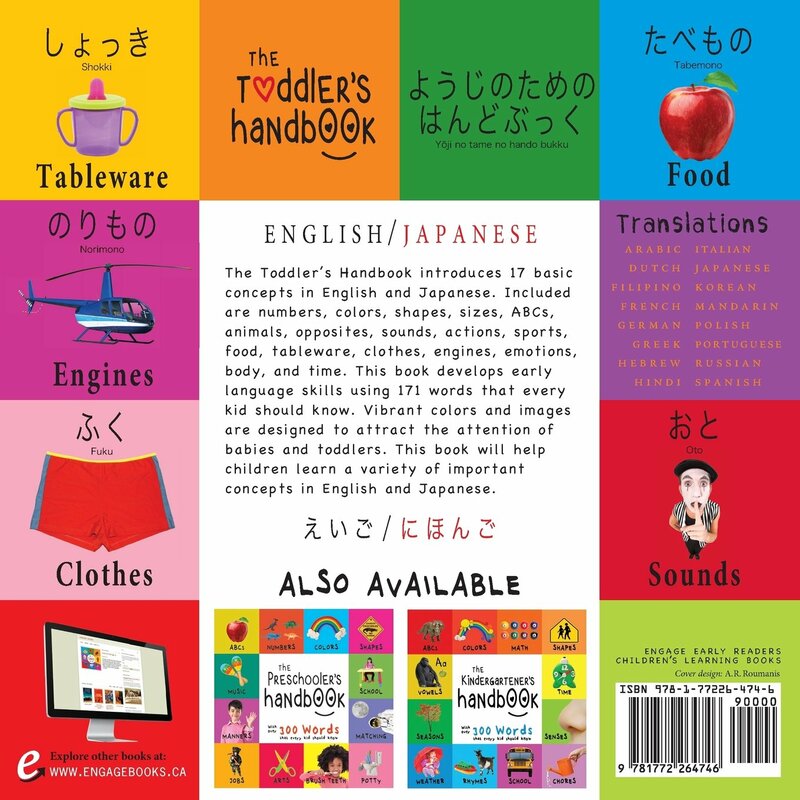 The Toddler’s Handbook introduces 17 basic concepts in English and Japanese. Included are numbers, colors, shapes, sizes, ABCs, animals, opposites, sounds, actions, sports, food, tableware, clothes, engines, emotions, body, and time. This book develops early language skills using 174 words that every kid should know. Vibrant colors and images are designed to attract the attention of babies and toddlers. 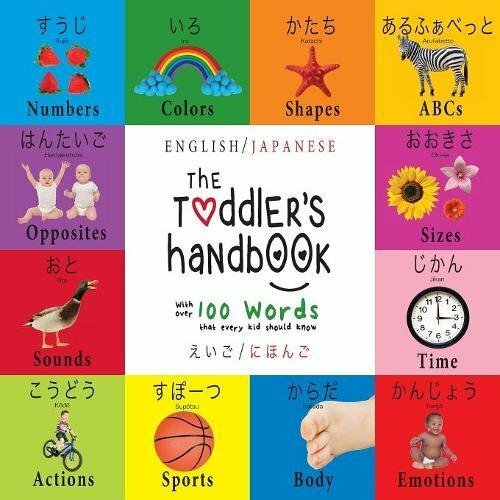 This book will help children learn a variety of important concepts in English and Japanese before preschool.